Our nation’s service men and women put everything on the line in defense of America’s freedom. It’s imperative that we keep political leaders informed of the challenges facing veterans and their families. Since our founding in 1920, DAV has been responsible for the promotion of meaningful, reasonable and responsible public policy for wartime service-disabled veterans, their dependents and survivors. It has been an integral part of who we are and what we do from the start. Today, our public policy efforts are focused on four key areas: reforming the Department of Veteran Affairs (VA) health care system; equalizing access to comprehensive caregiver support; and improving benefits services for women veterans. Thanks to our supporters we can continue fighting for the interests of veterans and their families on Capitol Hill. Women transitioning from military to civilian life have different needs and face different challenges than their male counterparts. They have, for example, higher rates of unemployment and PTSD symptoms and, of course, very different physical health needs than men. Yet, as DAV documented in its landmark report, The Journey Ahead, the system that awaits them is a disjointed patchwork of programs marked by serious gaps in health care, housing, other community support services, employment and efforts to eradicate sexual assault. They are being put at risk by a system designed for and dominated by men. 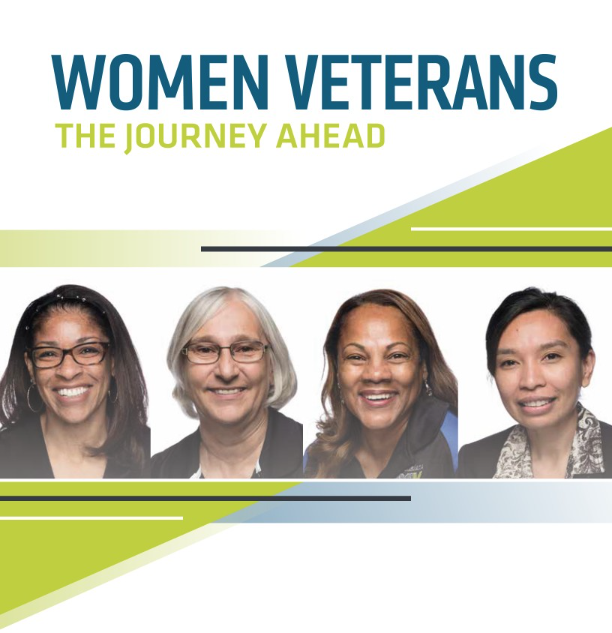 Whether it’s testifying on Capitol Hill, urging Congress to take action now to ensure women veterans are given every chance to succeed in civilian life, or working directly with them to help get the services and support they need, DAV is a tireless advocate on behalf of women who have served. DAV is working for equal access to benefits and quality health care. The VA MISSION Act, signed in 2018, was designed to expand veterans access to health care through a new integrated community care program and make major investments to increase VA’s internal capacity to provide care. The law also establishes a comprehensive process to modernize and realign VA’s hospitals and outpatient clinics and will expand VA’s caregiver support program to include seriously injured veterans from all eras. It is especially critical for VA to develop and operate the new Veterans Community Care Program (VCCP) in accordance with the widespread compromise reached by all key stakeholders. With provisions of the law beginning to take effect this year, it is now up to Congress to ensure that the MISSION Act is fully, faithfully, and effectively implemented. Caregivers are the family and friends that help and support severely ill and injured veterans live to their highest potential. Yet the sacrifices and needs of caregivers remain largely unrecognized and unmet. The VA created a comprehensive support program for caregivers; however, that system is not allowed to serve veterans severely disabled before September 11, 2001. DAV is working for equal access to comprehensive VA caregiver support services for veterans of all eras and continues to urge Congress to enact legislation to ensure this modification is passed.